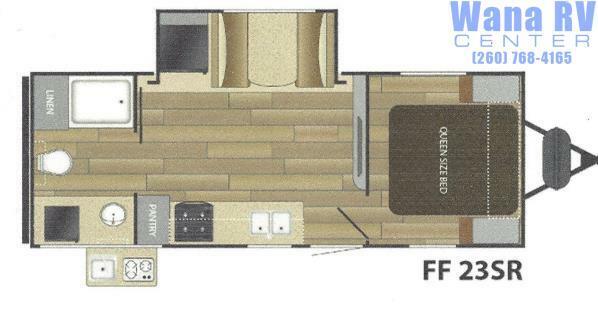 We offer a wide variety of Clearance RV's at Wana RV Center. Whether looking for clearance 5th wheel, travel trailer, toy hauler or park trailer you can't go wrong with the brands and offers we have available. 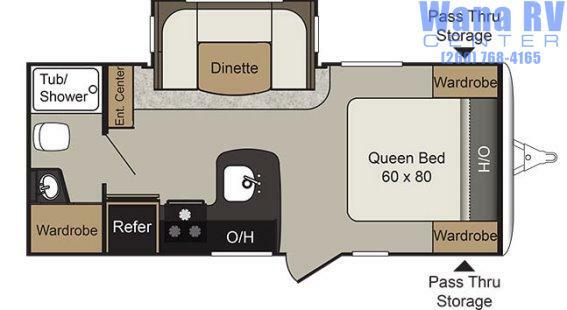 You will find incredibly low prices on these Clearance RV's and there are no competitors that can give you the selection and deals that we can offer at Wana RV Center, Shipshewana. "Buy your next RV at Wana RV Center in Shipshewana, IN." Give Keaton, Ryan, JoLisa, Justin or Gary a call at 260-768-4165. Wana RV Center makes every effort to ensure all information contained within this website is correct. However, we are not responsible for any typographical errors, omissions, misprints, misinformation, or incorrect photos contained within or on a manufacturers website. Some photos may be "stock" photos from a previous unit and not of the actual unit in inventory. It is the responsibility of everyone to verify all details prior to purchase. Click For Details Contact Us! Stock # 3887 Length: 25' 10"
Stock # 7053 DEALER STOCK ONLY Length: 23' 11"
Stock # 1065 Length: 29' 11"
Stock # 0806 DEALER STOCK ONLY Length: 27' 7"
Stock # 0807 DEALER STOCK ONLY Length: 27' 7"
Stock # 5266 DEALER STOCK ONLY Length: 30' 6"
Stock # 0458 Length: 37' 1"
Stock # 9572 Length: 40' 10"
Stock # 5153 DEALER STOCK ONLY Length: 33' 3"
Stock # 9414 Length: 42' 1"
Stock # 1306 Length: 26' 9"
Stock # 0710 Length: 36' 5"
Stock # 2753 Length: 29' 11"
Stock # 3163 Length: 28' 0"
Stock # 5111 DEALER STOCK ONLY Length: 36' 10"
Stock # 2473 Length: 32' 6"